You'll be £19.99 closer to your next £10.00 credit when you purchase Darwin's Apprentice. What's this? 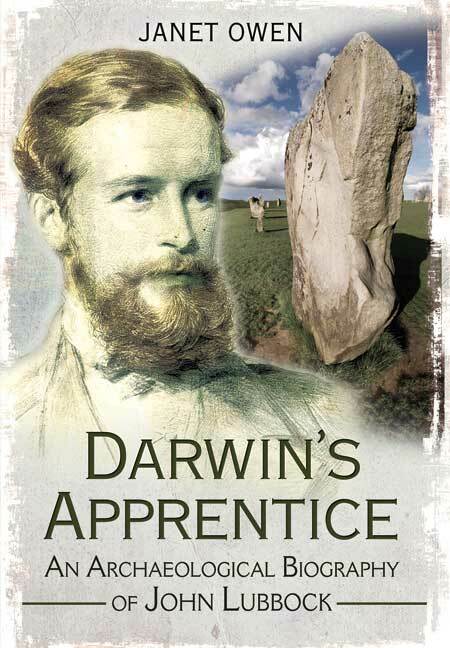 Darwin's Apprentice is a unique book telling the story of an important yet often forgotten Darwinist, Sir John Lubbock, through the eyes of his archaeological and ethnographic collection. Both man and collection were witness to an extraordinary moment in the history of science and archaeology - the emotive scientific, religious and philosophical debate which was triggered by the publication of Darwin's On the Origin of Species in 1859. Darwin's Apprentice looks at Lubbock's critical, yet often over looked, role in the Darwinian campaign, including the ways in which Lubbock's collections shaped both his work and personal life. Janet Owen writes in an approachable manner using a chronological narrative, making it accessible and informative to both the non-academic and academic reader, including those with no prior knowledge of John Lubbock. An admirable overview of John Lubbock, his principles, and his world. It provides notable insights into how key scientific concepts and paradigms were developed. A commendable and successful synthesis of an extensive body of research. Janet Owen’s biography of Lubbock, published 100 years after his death in 1913, concentrates primarily on his archaeological and ethnographic work, although his other achievements are also covered. As a former archaeology student, I enjoyed the book very much. Darwin’s Apprentice is an enjoyable biography of a very interesting man, who really deserves to be more famous than he is. The story is told in a very personal way, interweaving the events of Lubbock’s life with the author’s own experiences of encountering his letters and diaries, or of handling artifacts from Lubbock’s collection when she worked as a teenaged volunteer at Bromley Museum. Following on from a degree in Archaeology and Anthropology from Cambridge University Janet Owen has spent the last twenty years of her life as a museum professional, during which she was awarded a PhD from the University of Durham in 2000 for her work on the collecting activities of John Lubbock. Janet is presently Head of Arts and Museums at Hampshire County Council. She has also worked as Head of the Curatorial Group at the National Maritime Museum, and as Arts and Heritage Manager at Southampton City Council.